This is a guest post from Dave Miles, planting pastor with Soma Blue Mountains in Sydney, Australia. Six years ago, Dave, his wife Glenda, and a wonderful team of people planted Soma Blue Mountains. Then, last year, they helped plant Soma Penrith. The Blue Mountains is a beautiful world heritage area west of Sydney with small villages dotted across it. Penrith is a large city on the western fringe of Sydney. They have communities on mission across the Blue Mountains and down in Penrith. Let Soma Blue Mountains know if you’re interested in doing an internship with! There are those wonderful passages at the end of Acts chapter 2, and then the end of chapter 4, that describes the life of the early church. These are now the signs of the living presence of the living God. 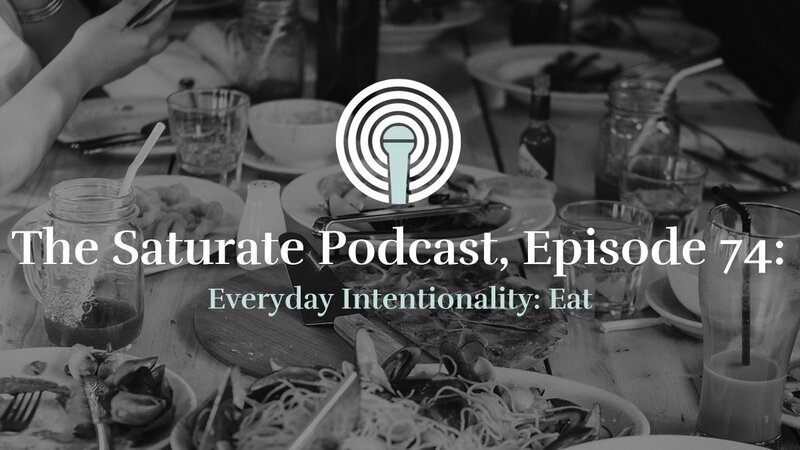 Luke says, “They devoted themselves to this…” the implication is that we are to devote ourselves to this also. 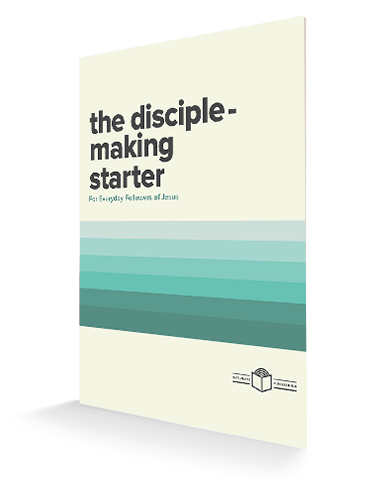 The teaching – which means not only the gospel, but the doctrines that frame the gospel. The fellowship – that’s a common life – koinonea, the sharing of a common life. This is expressed in the breaking of bread and prayer together – which means they ate and worshipped a lot together in each other’s homes and in the temple courts. Breaking bread also has all those overtones of Jesus’ last meal where he talked about his coming death. So this is the beginning of the church’s corporate and sacramental life. The early church understood herself as a koinonea. They were devoted to a common life together because they were bound together by Christ’s death on their behalf. Holding all things in common. 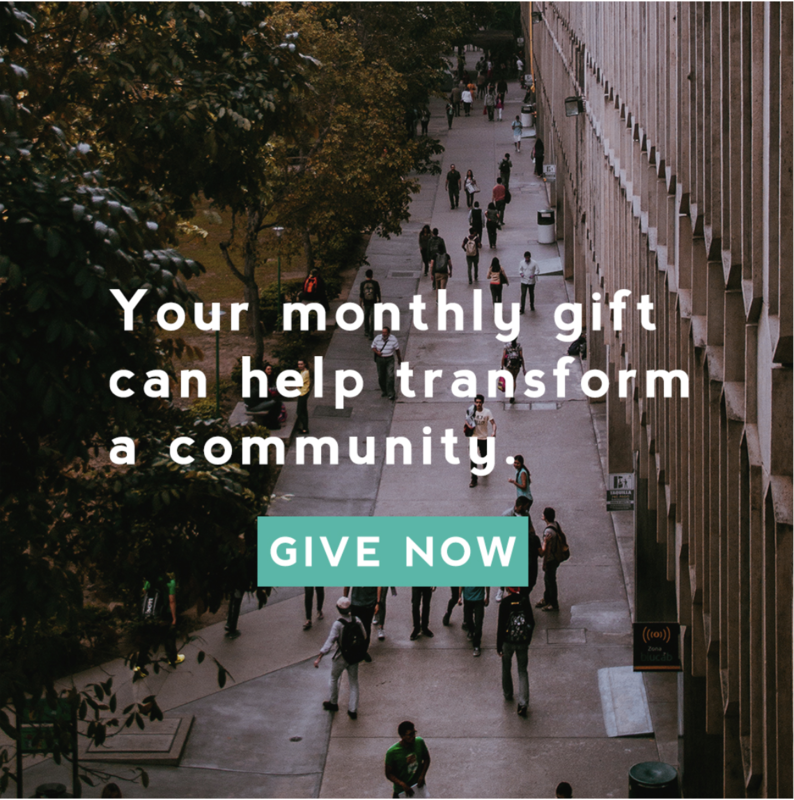 People often scoff at the early church, because they had this crazy idea that they should just pool all their possessions, and if someone was in need – they could just bail them out. Actually, what’s going on is they’re realizing they’re a family. In the ancient world, families share. Often businesses in the ancient world were strictly in the family. If they had sons, they were apprenticed to them and they carried it on. And then brothers and nephews, and so on, would help with things. And sometimes women joined in with this as well. And the point is – they aren’t thinking of themselves as different families. They’re thinking of themselves as sharing a family identity, so they expressed this in terms of possessions and economics. And then if you flip over to the end of Acts 4 this is repeated. Here we get a little hint at what’s behind all of this. Chapter 4, verse 34 says there wasn’t a needy person among them. What’s this referring to? Deuteronomy 15. 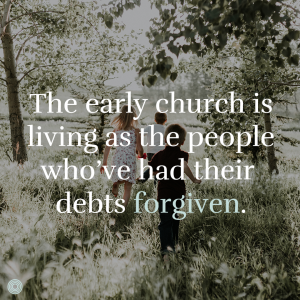 Deuteronomy 15 is the law concerning the Sabbatical year – ‘Every seventh year you will grant remission of debts.’ The early church is living as the people who’ve had their debts forgiven. And what happens? 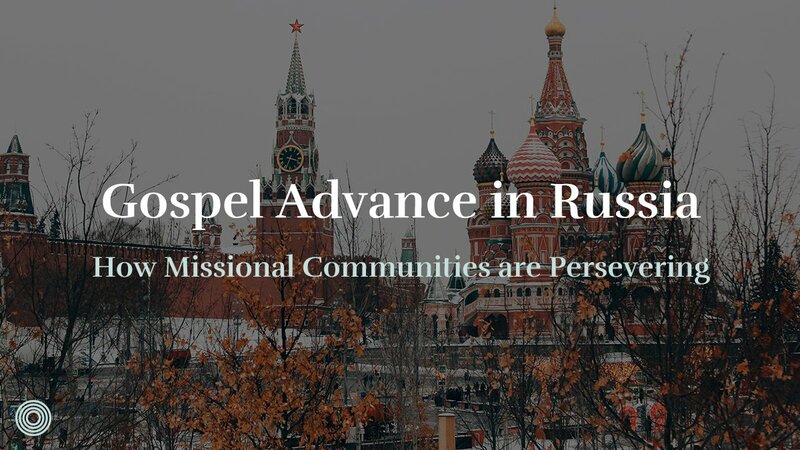 The result is Deuteronomy 15, verse 4 – ‘There will, however, be no one in need among you because the Lord is sure to bless you.’ The early church is behaving as people who say, ‘At last, this is what God always promised us. And we’re doing it. 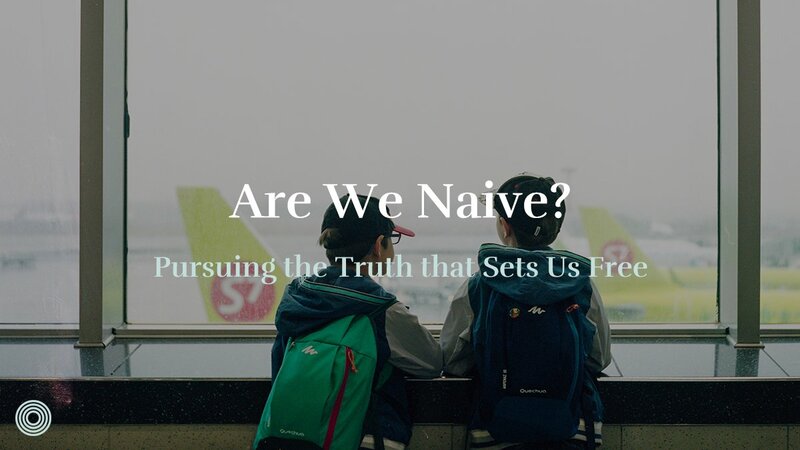 We are forgiveness people, therefore when we do this stuff: share all things in common, we signal that the Great Jubilee, the Great Sabbatical, the year of the Lord’s favor is here. How should we embody this today? This cuts right across our western individualism. There’s an enormous amount of this that we’ve just screened out, because it so deeply clashes with our western worldview. We just don’t know what to do with it, so we gaze in wonder at the early church then quickly pass onto something else. We need to take this very seriously. People say – they did all those miracles back then – that doesn’t happen today. Sure, but they shared all their possessions with one another and lived a radically counter-cultural life. Maybe those two things have something to do with each other! And then again, later at the beginning of Acts 6 we see the same thinking. Widows are being neglected in the daily distribution of food. 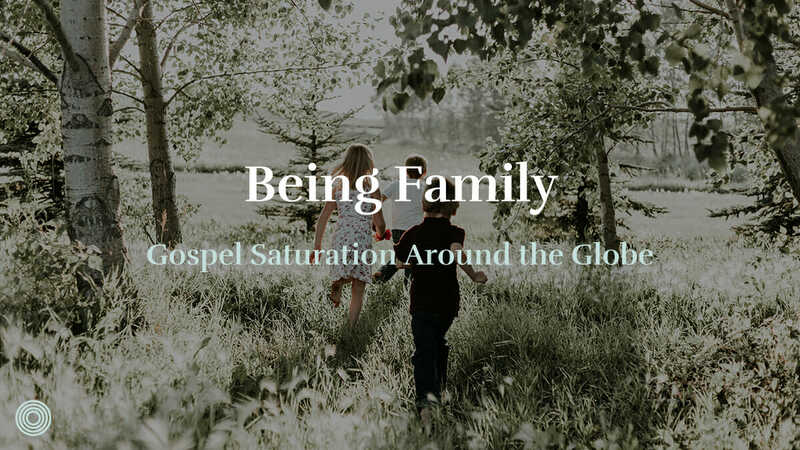 This is a problem that only occurs because the early church is thinking and living as a family. If they weren’t living as a family, this problem wouldn’t have existed. In those days, before social security, widows were cared for by their family. This means, if you became a Christian – the church became your family. This thinking worked for the community in Jerusalem. 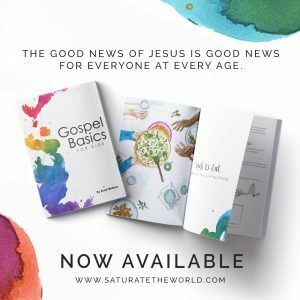 Now in Acts 11:19-20 – it’s working for the larger, universal church, so that, when one part of the church is in difficulty, another part of the church helps them by sending them money. So how do we express this family identity in our western context where there is social security and so on? At Soma Blue Mountains and Soma Penrith we’re trying to repent of our individualism and see each other as family – devoted to Christ and devoted to a common life together (koinonea) – not just in our various communities on mission, but across our church and with other churches across Sydney and Australia. What has this looked like for us practically? Part Two coming soon. 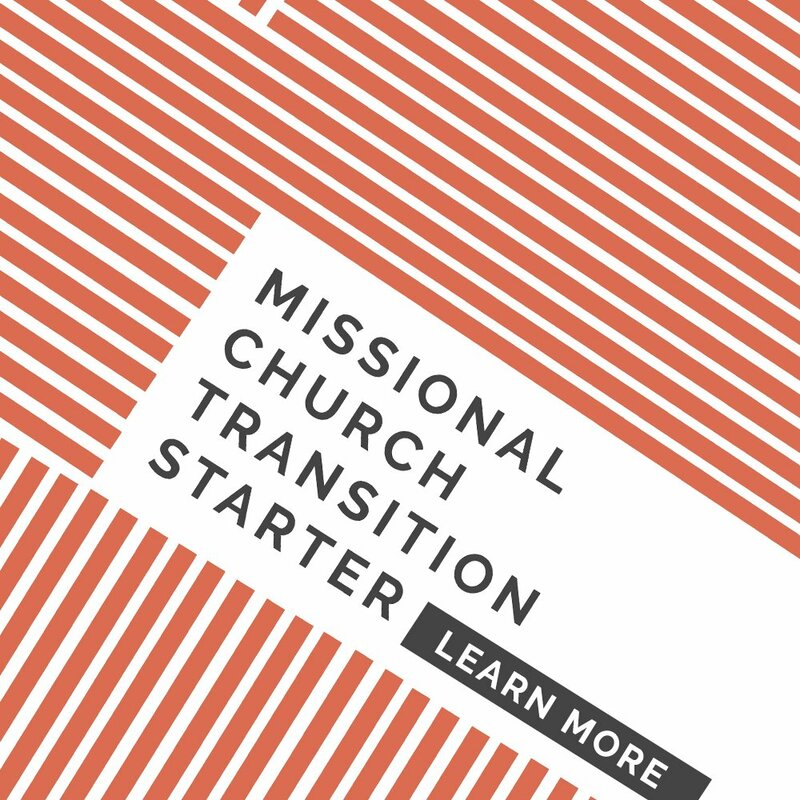 Want to learn more about ways we’re partnering with churches around the globe? Check this out.